On this page, you can get to know me a little bit. Please do not hesitate to CONTACT me and my team if you have any questions or comments. From my teenage years on, I was touched by worldwide injustice. I wanted to become an international journalist. Therefore, in addition to studying political science and public law in Hamburg, I did several traineeships in public media and wrote for the Hannoversche Allgemeine Zeitung before completing a LL.M of public international law at London School of Economics (LSE). In 2009 I started a Ph.D. in public international law at the Freie Universität Berlin. The more I got involved with politics during my studies and traineeships at the Council of Europe in Strasbourg, the European Parliament and the British Institute of International and Comparative Law, the more I wanted to not only write about injustice but to do something against it. 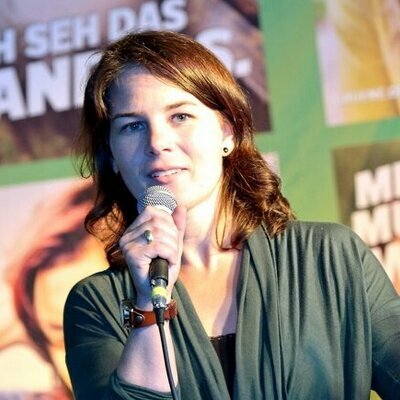 I started to work for the Green Member of the European Parliament from Brandenburg, Elisabeth Schroedter, in Brussels and Potsdam from 2005 to 2008. Subsequently, I worked as a policy advisor on issues of foreign and security policy for the parliamentary group of Alliance 90/The Greens in the German Bundestag. 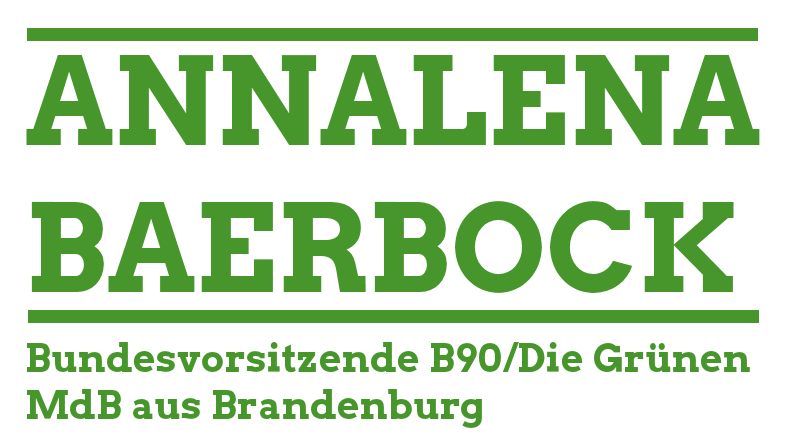 During the campaigns for the European elections in 2004, I did not only meet my present-day husband with whom I have two wonderful daughters, but also found a political home with Alliance 90/The Greens in Brandenburg. 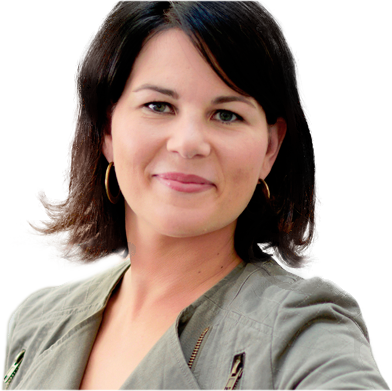 I joined the party in 2005 and became its chairwoman in Brandenburg from 2009 to 2013. At the same time, I acted as spokesperson of the Party’s Working Group on European affairs for five years and served as member of the board of the European Green Party from 2009 to 2012. In the end of 2012, I was elected member of the Green party council and in 2013, I became a member of the German Bundestag. Tens of thousands of steel workers are demonstrating for the future of their jobs. And rightly so. The steel industry has come under pressure due to a massive global oversupply. Steel companies, along with the German Minister for Economic Affairs Sigmar Gabriel, were quick to find a culprit for the crisis: the European emissions trading system. „It’s already a well-established fact that renewable sources of energy are clean and increasingly cost effective. But with parts of the world gripped by geopolitical tensions and armed conflict, clean energy can offer something extra: The potential of energy independence and security. In Germany, the idea of fostering energy independence through renewables is gaining traction with some lawmakers. You can watch the video and read the full article here. As a Member of Parliament, in my first term (2013-2017) I was spokesperson for climate policy of the Green Parliamentary Group. I focussed especially on climate, energy and European policies. As a member of the Committee on Economic Affairs and Energy, I worked hard on making the German Government to finally acknowledge its international responsibility as one of the largest economies in the world and to lead the German “energy transition”, the so-called “Energiewende”, to success. For that, phasing out of coal-fired power plants and fossil fuels plays an important role and is at the core of my efforts. In my second term (2017-2021), my focus is on child poverty, children day care centers and single parents as well as on energy and climate policies. Therefore, I am member of the Committee on Family, Senior Citizens, Women and Youth as well as deputy member of the Committee on Economic Affairs and Energy. 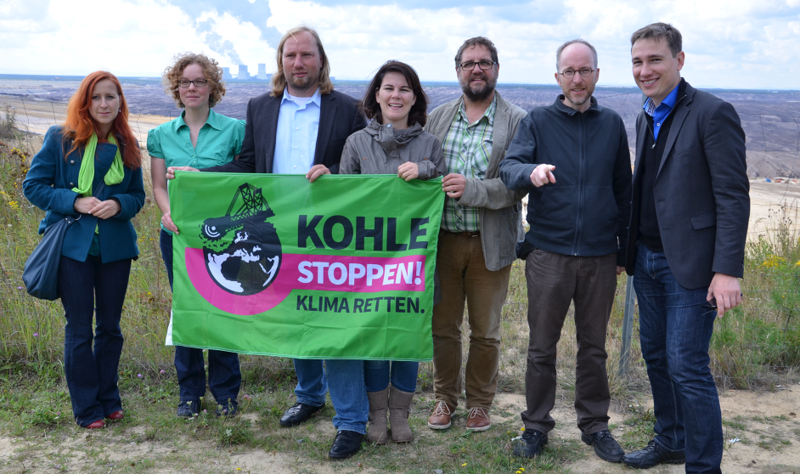 Within the state of Brandenburg, where I live, I fight for the state government to open its eyes to the catastrophic consequences of lignite mining. 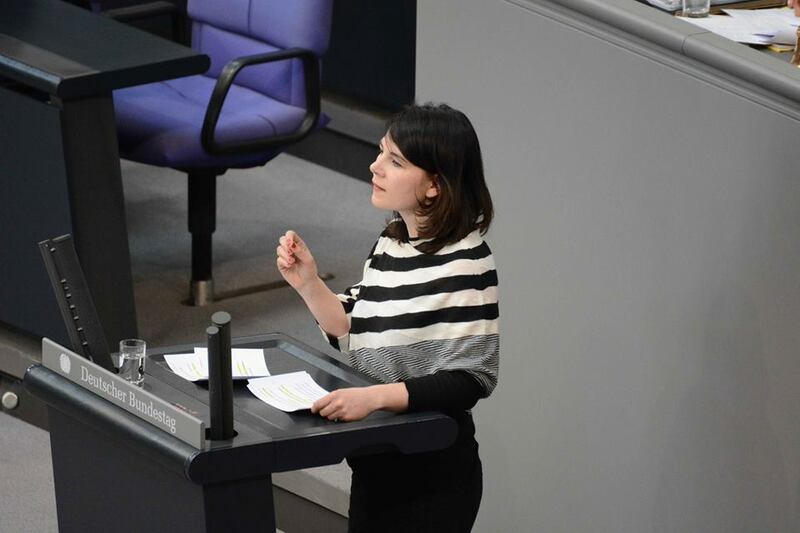 Together with many local initiatives and dedicated citizens I fight for a ban on nighttime flying at the airports and for continuing train service in all of Brandenburg. Being a passionate European, I furthermore strive to contribute to closing the gap between rich and poor within Germany, within Europe and all over the world. Having been elected chairwoman of the Green Party of Germany in January 2018, I strive to further strengthen green policies in Germany and the European Union. Together with my Co-chair Robert Habeck, I hope you will support us and our party – please do not hesitate to contact me! If you want to know more about me, you can visit me on facebook, twitter or flickr or have a look at my CV (TABLE or TEXT.